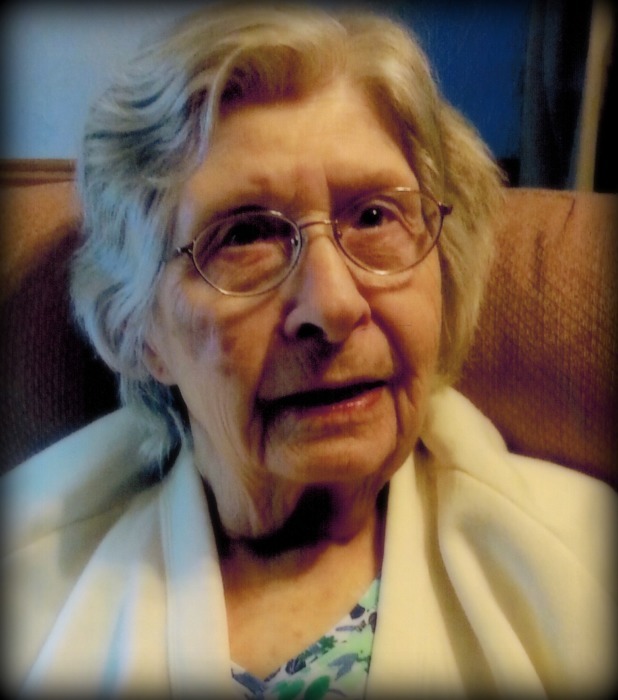 Mary Edna Hazelton, age 93, of Greenville, passed away Thursday morning, August 16, 2018 at Spectrum Health-Kelsey Hospital in Lakeview. The daughter of Robert F. & Angel Madeline (Goosen) Watson, she was born on May 22, 1925 in Muskegon. Mary enjoyed gardening, crocheting, sewing, and had been active in league bowling, but her greatest joy was in time spent with her family. On August 28, 1965, in Stanton, she married Arnold Lester Hazelton and together enjoyed almost 53 years of marriage until Arnold passed away on July 26, 2018. She was also preceded in death by her parents; two daughters, Lucille VanSyckle and Sandy Perkins; a son-in-law, Art VanSyckle; a step-son, Richard Strecker; a grandson, Larry "Chopper" Sherman; a sister, Bessie Salinas; and two brothers, Ralph Watson and Joe Watson. Surviving are two daughters, Ann Bow of Trufant, and Madeline & Jerry Troupe of Morley; a son, Clarence & Pam Strecker of Greenville; a brother, Frank Watson of Sears; a sister-in-law, Maxine Helms of Lakeview; eleven grandchildren; twenty-three great-grandchildren; and several great-great grandchildren; and several nieces and nephews. Honoring her wishes, private services will be held and burial will take place privately at Rest Haven Memory Gardens in Belding. Instead of flowers, contributions in memory of Mary may be directed to Great Lakes Caring Hospice (http://www.greatlakescaring.com). To send a message of sympathy to the family, sign Mary's online guest book, or to share a favorite memory, please visit: www.ChristiansenCares.com Arrangements were entrusted to Christiansen Cremation & Funeral Care, Greenville.